Judy Morris joined the Australian Taxation Office in 2009. Prior to joining the Tax Office, Judy was a Corporate Tax Partner with a large advisory firm. She has also worked as Head of Tax for a large Australian listed group. I have been a member of the Tax Institute since 2001. What does the Financial Services Taxation Conference mean to you, and more broadly, to the tax industry? The Conference is an important opportunity to hear about issues specifically relevant to financial services and share experiences and perspectives. What is the topic that you are presenting at the Financial Services Taxation Conference and what can attendees expect to learn? My colleague James Campbell and I will present on the ATO’s Changing Approach to Resolution of Banking and Finance Industry Issues. I’d like to take this opportunity to wish you all the very best for the holiday period. I look forward to bringing you more great benefits and opportunities in 2015. With the year quickly coming to a close, I wish to acknowledge those who have volunteered their time and hard work, both this year and over the last 71 years, to make The Tax Institute the success it is today. In particular, a very big thank you to our committees, volunteers, National Council, and particularly Michael Flynn, 2014 president, for their valuable contributions throughout the year. 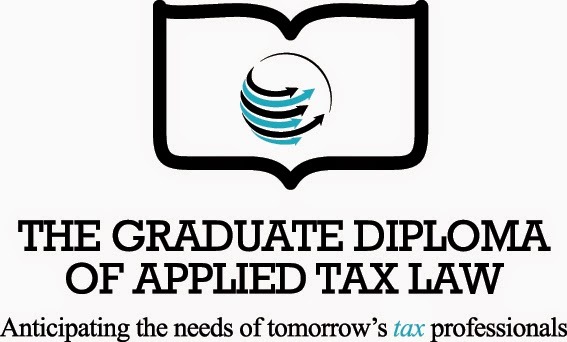 Since its launch, we have received many enquiries regarding how candidates can secure a career advantage by studying for the Graduate Diploma of Applied Tax Law. Andy Hutt is the leader of KPMG’s Global Mobility Services in the Asia / Pacific region and is responsible for ensuring that their clients receive a consistently high standard of service across the region. He is also the partner in charge of the Australian Global Mobility Services Practice. Andy has more than 20 years’ experience in Australia and the UK of advising clients on the taxation and financial aspects of both employee mobility and incentive arrangements. What does the National Convention mean to you, and more broadly, to the tax industry? It’s a great opportunity to share your experiences with peers and to contribute to the ongoing high performance of the profession. What will you be presenting and what can attendees expect to learn from your session? This is my final President’s Report, so I cannot help but reflect on the past year. Personal highlights have been attending the various conventions where I have had the opportunity to meet many of our members, representing the Institute before government, and working closely with Institute staff on a number of projects. The Institute has clocked up a number of achievements over the past year. While each is significant in its own right, when you look at them collectively, they reflect a move away from the Institute’s traditional focus on providing smaller state-based professional development seminars. First, the Institute achieved a major milestone in becoming recognised as a “higher education provider” and launching the Graduate Diploma of Applied Tax Law in October. Recognised as Australia’s premier taxation conference, the National Convention is being held at the RACV Royal Pines, Benowa, in Queensland on 18 to 20 March 2015. This year, the National Convention will celebrate its 30th anniversary and we have much planned for this milestone. This is the tax profession’s key annual event, so why not be part of it? As always, the convention has been developed by an expert team, with over 30 sessions addressing the latest tax issues and a program that is technically relevant and practical. It is designed to meet the needs of tax professionals in all industries, at all stages of their career. Earlier this week, Tax Institute President, Michael Flynn CTA, and Vice-President, Stephen Healey CTA, joined me at the ATO’s quarterly National Tax Liaison Group meeting. Peter Oliver is a Partner in the Financial Services Group at KPMG. He has over 15 years experience advising clients on corporate matters, mergers and acquisitions and cross-border transactions within the financial services sector, particularly insurance, life insurance and funds management. He is heavily involved in industry consultation with Treasury and the ATO on life insurance and wealth management tax issues, both through the Financial Services Council’s Life Insurance Tax Working Group and on behalf of clients. I have been affiliated with the Tax Institute for most of my career, attending various events including the Financial Services Taxation Conference. Tax is a well-respected specialisation in the accountancy profession. In serving their clients, tax professionals in the modern world need a range of skill sets, not least excellence in the understanding and application of tax laws and regulations. Gordon Grant, Head of Tax Learning and Development at one of the major accounting firms in Australia, provided some insight on the need for investment in tax learning and education. I am originally from the UK where, in my experience, people with a range of different degree disciplines (and a number without degrees) choose to join professional services firms and enter the tax profession having technical competencies developed by undertaking qualifications and training offered by professional bodies in addition to internal, employer-provided learning programs. The international community’s pressure is mounting on the taxation of multinationals; and it is starting to result in some significant changes to existing taxation structures. Recently, in delivering the Budget, the Irish Finance Minister announced that the government would begin phasing out the ‘double Irish’ structure. As members will be aware, the double Irish allows firms with operations in Ireland to make intellectual property royalty payments to a separate Irish-registered subsidiary that is resident in a country that has no corporate income tax. This change takes effect from 1 January 2015 for new companies, but existing companies have a generous transition period to the end of 2020. However, despite the positive sentiment behind this face-saving announcement, there is still a major aspect of the Irish tax system that remains of international concern: the very low 12.5% company tax rate that will remain untouched. As students begin the search for grad positions and employers start sifting through countless CVs, we took the opportunity to sit down with Martin Booth, partner at Moore Stephens Sydney, to talk about his ideal candidate. We expect both cadets and graduates to do The Tax Institute’s CTA1 and CTA2 courses at Moore Stephens Sydney and, when it’s introduced, we’ll also be encouraging them to undertake the Graduate Diploma of Applied Tax Law. We’ve always found The Tax Institute’s tax training a win-win for both the partners and its employees. At university, people will often only do one tax subject, which only covers some very basic legal concepts. And if my experience is anything to go by, it goes in one ear and out the other as soon as exams are over. This week the Federal Government announced changes to the tax treatment of employee share schemes. This was part of a wider package called the Industry Innovation and Competitiveness Agenda. The Government's announcement includes an unravelling of the infamous 2009 tax changes to employee share schemes and this is a welcome move. It will go a long way to addressing the unfair imposition of a significant tax burden on employees. It should also address the significant compliance burden that employers face under the current rules. However, as members are well aware, the devil is often in the detail, so we look forward to carefully consulting with the Government on draft legislation to ensure that the new rules deliver the intended outcome and serve to improve the tax treatment for both employees and employers. The Tax Institute's submission to Treasury on this matter can be accessed here. 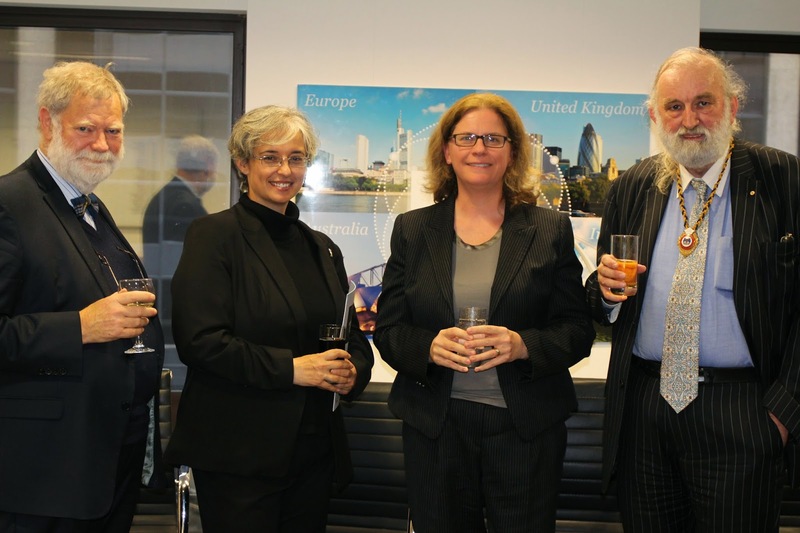 15 October, 2014: Last night The Tax Institute launched its first postgraduate course, the Graduate Diploma of Applied Tax Law, at an event attended by the tax profession’s leading luminaries, including Commissioner of Taxation, Chris Jordan AO. According to Noel Rowland, CEO of The Tax Institute, “The Tax Institute is raising the bar for the tax profession. “The launch of our Graduate Diploma of Applied Tax Law means that we are the only professional association to provide a postgraduate education solely in tax. “The tax profession will undergo fundamental shifts in both its business model and its workforce, resulting in the need for a changing professional capability in Australia. “Consumers of tax services are now seeking tax professionals who offer more than tax advice, and who are equipped with the skills to take on the role of business advisor as a whole. Most recently, members may have read some of the series of Fairfax press reports stemming from a publication that claimed almost a third of Australia’s largest companies are paying less than 10¢ in the dollar in corporate tax. Whilst there is ongoing commentary on the details and analysis contained within the report (Who Pays for our Common Wealth? ), we can be certain that the focus on our tax system and the way that it interacts with the global tax environment is set to intensify. We are pleased to announce that nominations are once again open for The Tax Institute’s Tax Adviser of the Year Awards. Designed to celebrate the profession’s highest achievers, this is your chance to be recognised by the profession’s leading tax luminaries. This year we’ve introduced two new categories; the SME Tax Adviser of the Year Award and the Corporate Tax Adviser of the Year Award. Emerging Tax Star AwardNEW:SME Tax Adviser of the Year NEW:Corporate Tax Adviser of the Year Chartered Tax Adviser of the YearEntries close 9 December 2014 - Download your entry kit and application forms now and start working on your nomination today. The awards will be judged by leading tax practitioners and will be presented at an official awards ceremony at our 30th National Convention on the Gold Coast in March 2015.